This beautiful card was from my Mom - I love the bashful blue background with the gold embossing. I think I need to pull out some bashful blue - a colour I don't use often. A couple days ago Shelley and I got together for coffee and she gave me this beautiful Christmas card. It was so nice to catch up - it's been a while since we've had the opportunity to visit. 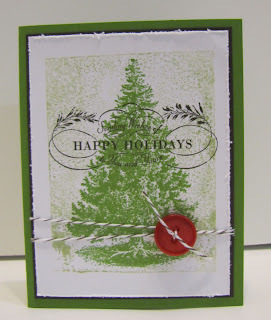 I love how she used the clear block as a background behind the tree on this card. And this super cute card is from Taru another one of my team members. 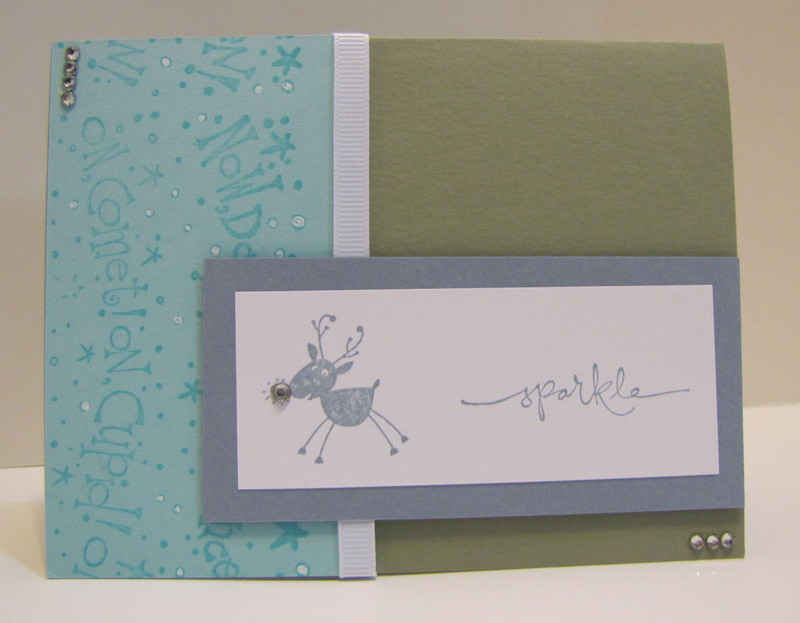 A flashback to some older colours on this card - I believe those are mellow moss and soft sky(?). 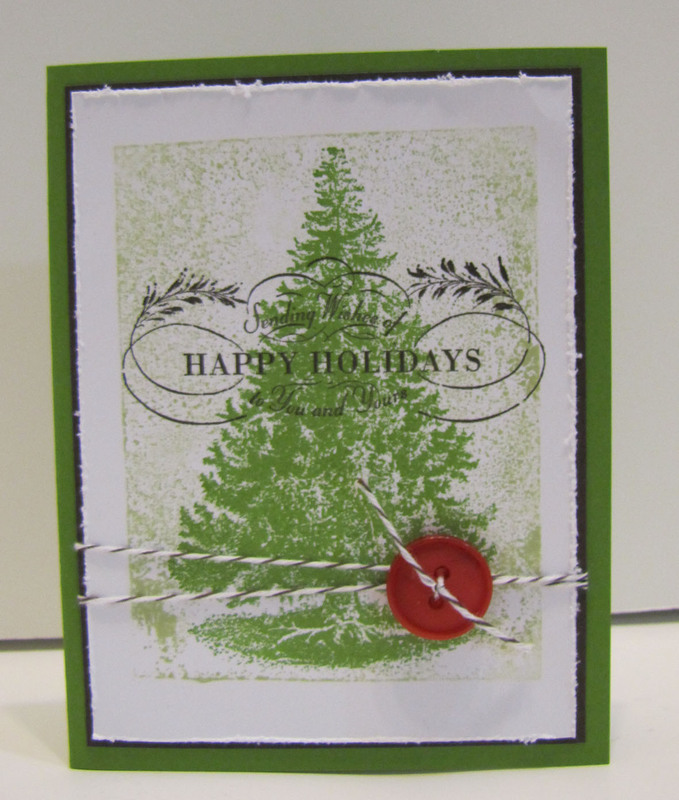 Have you been using Stampin' Up! product long enough to remember soft sky? 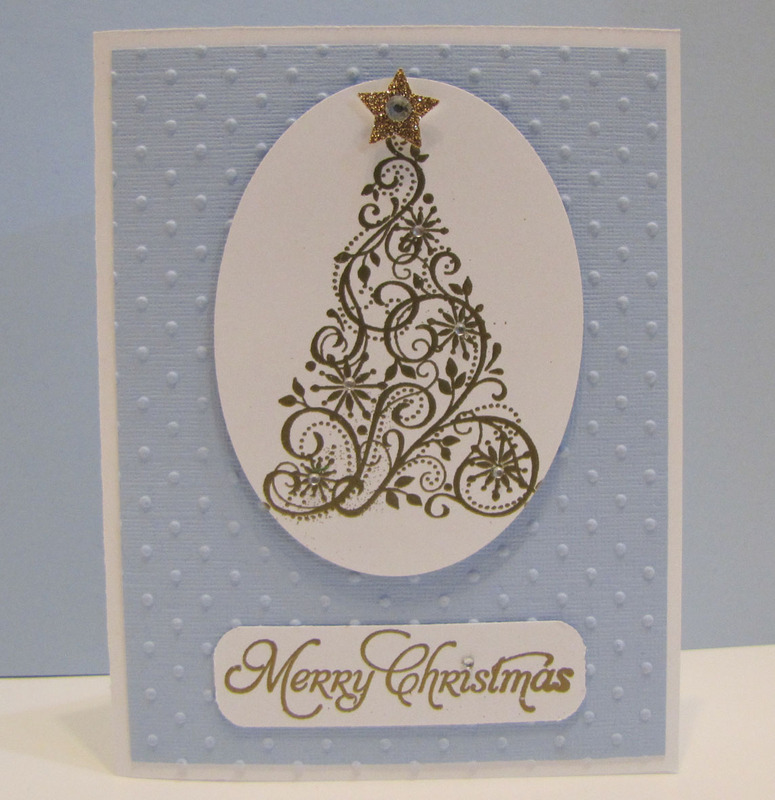 I am so blessed to have received so many wonderful hand made cards! Thank you so much ladies!